M Brebner (MCIOB), is experienced in the evaluating the condition of commercial and residential property. We accept appointments as expert witnesses in these fields where cases are before the Courts, Tribunals and Arbitrators. We may be appointed as an expert witness by one of the parties or as a joint expert witness appointed by both parties. Should we have acted for one of the parties in the past, or should there be a connection which causes a conflict of interest, then the surveyor will not accept the appointment. 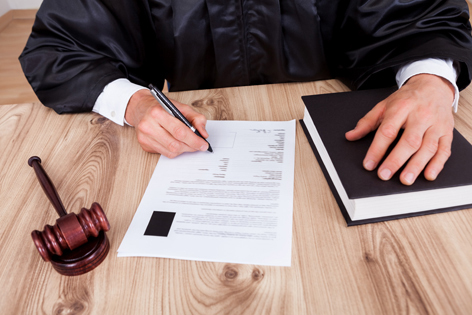 We provide expert witness reports, litigation procedure and appearances in court. Reports from an expert witness are intended to assist the Court in matters of which the witness has expertise. They must comply with the Civil Procedure Rules. The report must be the independent and an unbiased product of the surveyor, and fall within his expertise, experience and knowledge. The report must state the facts and assumptions that it is based upon, and not omit material known facts that might be relevant to the expert’s conclusions. It must be impartial and uninfluenced by those instructing or paying the surveyor to give the evidence. A well drafted, unbiased expert witness report often helps the parties to reach agreement and settle a dispute without the need for a court or tribunal hearing. Expert witnesses may appear in Court for presentation of their report findings followed by examination and cross examination by barristers or other advocates representing the parties in the dispute. In many straightforward cases the Court would take the expert witness evidence in the form of the report without the need for a Court appearance. Where a joint expert witness has been appointed there is provision for either, or both, parties to ask written questions of the expert witness which must be answered in writing. Should the parties be dissatisfied with the report and answers to questions they may apply to the Court for the expert witness to attend a hearing for examination and cross examination. When given basic information we provide an estimate of fees based on the probable time necessary to inspect the property, peruse documents, carry out research and prepare the Expert Witness Statements. It is not possible to provide a fixed fee quotation in most cases because the time required often cannot be properly assessed. Please contact us for further information regarding expert witnesses statements.